In a rowdy Arizona town, Doug Badman runs a seedy whiskey den overflowing with trigger-happy ruffians and all manner of vice. Tornado Lou dances on stage and provides other services upstairs. 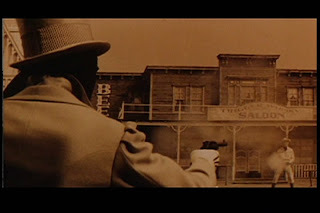 Outside, in the dusty Old West town, lawlessness prevails. Only a single preacher and his daughter Winnifred, a devout temperance campaigner, attempt to stem the tide. Both Lou and Winnifred pine for a champion on which to bestow their love, much to the frustration of the lustful Badman. 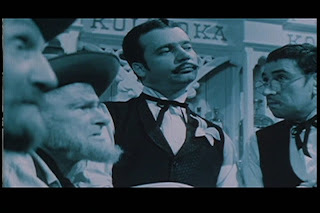 The stage is set for a hero to come in a clean up the town in this all-American 1930’s musical western. Except that this isn’t America or the 1930’s. It’s Czechoslovakia circa 1964. 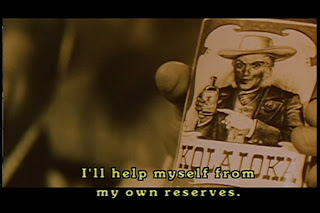 You’re watching “Lemonade Joe,” a Czech New Wave satire of American westerns! 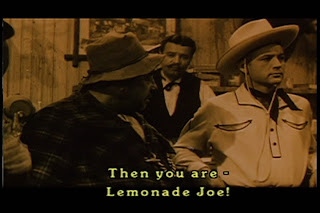 Lemonade Joe is a yellow-clad cowboy with a good-natured grin, a hunger for justice and a thirst for Kolaloka lemonade. But is his brand of gun-slinging do-goodery literally just a brand? 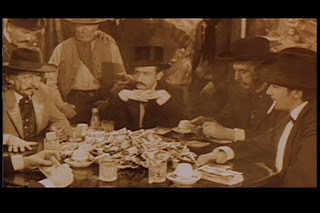 The clear-cut morality of white-hat vs. black-hat westerns is suddenly not as simple as it seems when Joe is revealed to be a sales representative of the Kolaloka Company, ousting their main competitor, whiskey, under the guise of reform. 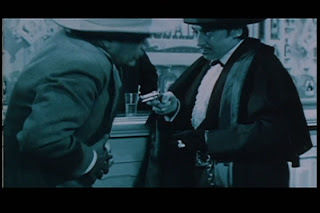 It hardly bothers Winnifred that her knight-in-yellow-leather is a traveling salesman nor does director Oldrich Lipsky ever flinch from treating Joe as anything but the valorous hero worthy of song that such films require. 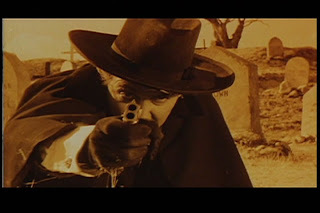 Joe’s adventures, particularly his battle with Doug Badman and his villainous brother, the magician Hogofogo, are a fair bit more surreal and anarchic than your typical John Ford feature, but Oldritch is hilariously loyal to the outward look and sound of classic-era westerns. Oldrich lenses the film in slightly-faded black-and-white, color-tinted by the old-school rules of silent cinema: sepia outdoors, blue at night, red for romance, etc. 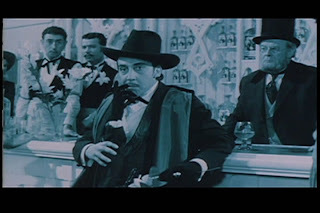 The musical numbers are belted out with over-the-top gusto, lending operatic pomp to even the most trivial remark. The overture theme is particularly amusing, garbling Czech and pseudo-English without regard to grammar or meaning in a shameless acknowledgement that the lyrics aren’t important anyway. Yet such is the nature of Czech New Wave ambitions that Oldritch indulges in endless virtuosity, investing the tired genre with new life. 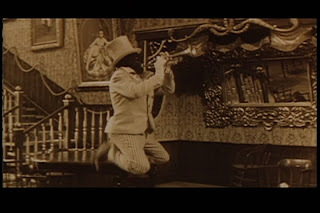 The film’s exhilarating plot contortions, exaggerated situations and nearly random camera-chaos is like the Marx Brothers meets “A Hard Day’s Night” or something akin to a Wild West version of Godard’s “Pierrot le fou.” An elaborate jump-cut-strewn shootout with Hogofogo playing the trumpet while in blackface and a white suit is particularly memorable. 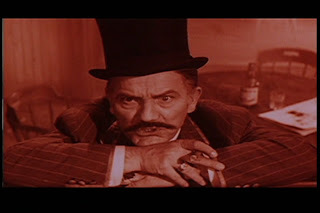 Oldrich also explores several interesting special effects that link it to “Who Wants to Kill Jesse?” and the circus sequence from “The Cassandra Cat.” (Czech films show an interest in mixed-media possibilities, popular in the static arts of the 1960’s, more so than other countries.) 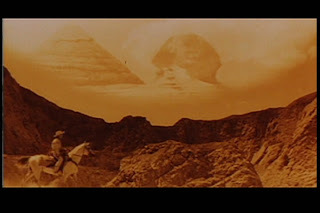 There is a flashback done using cartoon stills, a nested tale using crude blue-screen, a comical fata morgana (mirage) sequence using matte shots and a scene where Doug Badman blows numerical smoke rings to tip off his brother during a poker game. 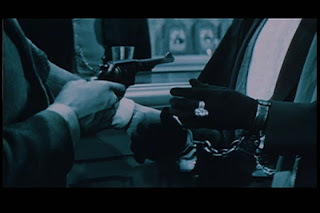 No Czech New Wave film would be complete without a political dimension, and “Lemonade Joe” is no exception. The underlying critique of collusion between capitalist forces and government is central to Oldrich’s satire. 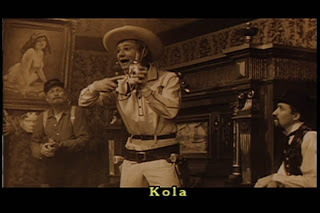 Kolaloka is clearly an anagrammed stand-in for Coca Cola, itself a symbol of American consumer culture. Joe’s role as a spokesperson for the beverage often times grinds the action to a halt for commercial-like endorsements, and I can’t help appreciating it as a prescient parody of product placement. 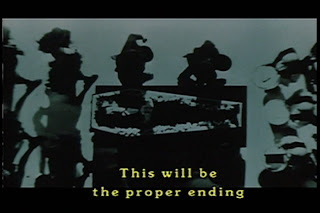 [SPOILER paragraph] The ending of the film is in perfect sync with the satire, providing one of the most hilariously overdone happily-ever-after finales. Birthmarks reveal that Lemonade Joe, Tornado Lou, Doug Badman and Hogofogo are all siblings, separated as infants from their father, the founder of Kolaloka, during a hurricane. It seems like little more than tragic irony since they have already killed each other off, but Joe magically reappears in perfect health to reveal that Kolaloka also cures death! 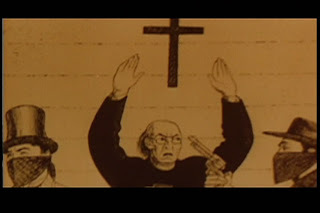 With the whole family revived and united, their father gives his blessing to Joe and Winnifred’s marriage, thrusting his cane in the ground with happiness and striking oil. Winnifred discovers gold a few feet away and a man runs in from off-screen to announce that Kolaloca stock has just surpassed a billion dollars. 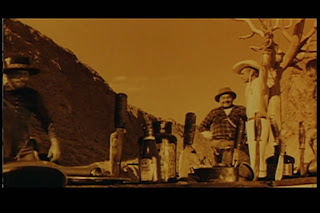 “Lemonade Joe” may not have the universal appeal of “Who Wants to Kill Jesse?” but it will please anyone with an interest in westerns, an absurdist sense of humor and a taste for technical eccentricity. As a western satire this is far ahead of “Destry Rides Again” or “Blazing Saddles,” though for a viable attempt at revisionism you’ll have to look elsewhere. 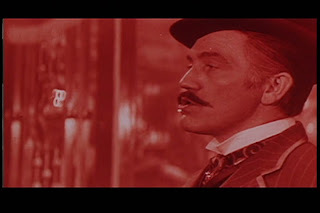 I’ve been enjoying Spaghetti westerns for a while now, but I’ve had little experience with so-called Osterns (aka, Red Westerns or Eastern Westerns) so I can’t comment on how it stacks up against others. Resorting to comparisons might be misguided anyway, given how unique and free-wheeling this film is. Reading the ending made me laugh out loud at work. 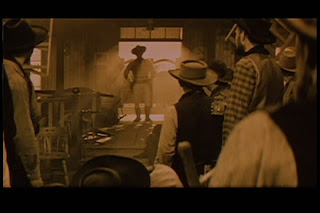 It is so dead-on about the arbitrary good fortune in light-weight westerns. 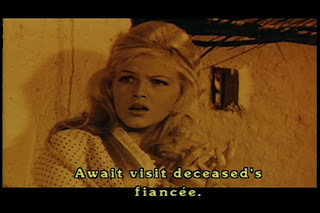 And there is still plenty of reason to see the ending yourself, since I left out one more scene the comes after. All I'll say is that it involves animation and portmanteau. "laugh out loud" is what my grandfather used to say when he meant "lol". You watched the pan and scan version. I watched the Facets release which is actually not even pan and scanned; it's just outright cropped. I love the movie, but I won't buy it until I can find it in the correct aspect ratio. I grew up watching this film about once a year. As a small child, I took the good vs. bad literally and rooted for Joe like I would for a hero in a fairy tale. Later I figured it was a parody, and enjoyed it even more.